Android Pay went live in the UK in the past few days and I jumped at the chance of using it to enable my Samsung Galaxy Note 4 smartphoneyp pay for purchases contactlessly. 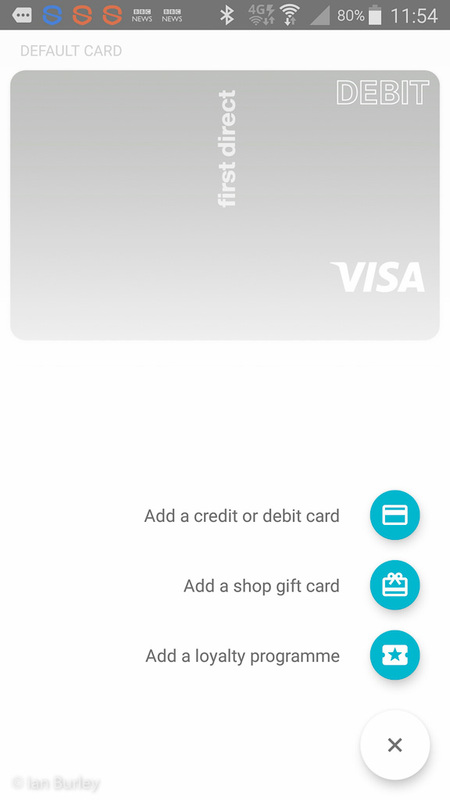 You can also link your Android Pay facility to gift cards and some loyalty rewards cards so you can pay for things and get some credit back. Speculation is rife that the end of the era of plastic payment cards is now in sight because of smartphone contactless payment systems like Android Pay, Apple Pay, Samsung Pay and others. 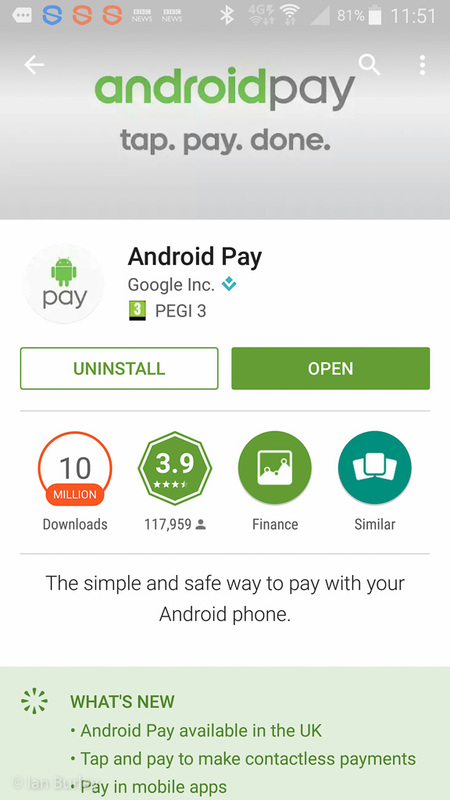 The Android Pay is app is on the Google Play store. It's also pre-installed on some phones. You can add several debit or credit cards, gift cards and loyalty cards. Here my First Direct debit card and my Nectar loyalty card have been registered. 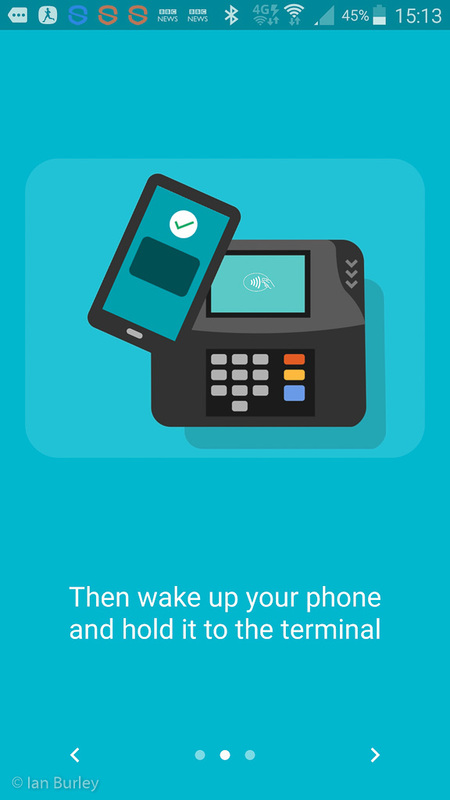 Android Pay how to instructions. The Android Pay app handily logs your purchase amounts and stores where you made purchases. Until now I have been using a debit card for contactless payments, mainly at the supermarket. I tend to do daily small shops rather than weekly megashops. This gets me out of the house for some exercise It’s at least a mile and a half walk round trip to and from the supermarket most days and we have fresher produce. 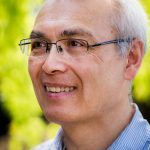 My supermarket bill is, therefore, rarely above £30, the maximum you can pay per transaction with contactless in the UK without having to enter your PIN code. Before we go any further, if you are interested in Android Pay you will need an Android smartphone that is NFC (Near Field Communication) equipped. This is a chip and a thin and flat antenna installed inside your phone. On my Note 4 the NFC device is located in the user-replaceable battery. If you own a Note 4 or another phone with a similar arrangement, take care if you choose a cheap 3rd party replacement battery. Your phone will also require Android KitKat 4.4 or later. It’s also worth pointing out that not all banks or debit or credit cards (or loyalty and gift cards) are compatible with Android Pay yet. I had no problem with my First Direct debit card and I was also able to add my Nectar reward card. The process is very simple. 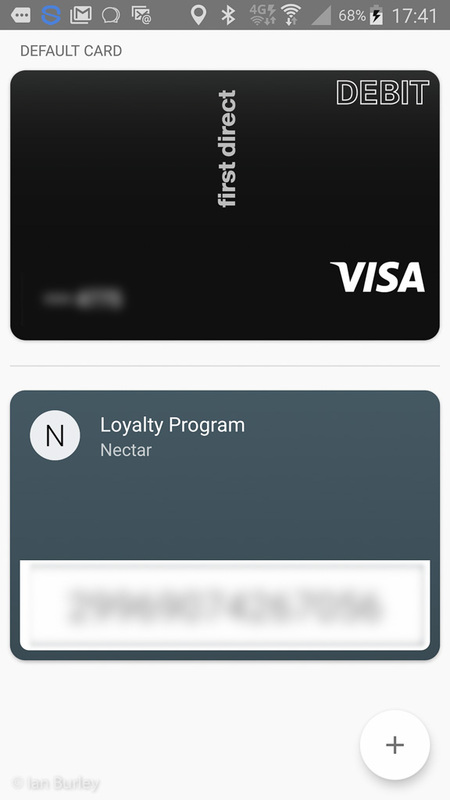 After installing the Android Pay app you need to add one or more card. You can do this manually by entering the card details but you are first offered the option of using automatic identification of the card using the phone’s camera. This almost worked perfectly for me with the debit card, except I had to enter the expiry date of my debit card manually. If you have a card registered to the Google account linked to your phone that can be added, too. The app then seeks verification from my card issuer. I use online banking via my bank’s app as well but this was not involved in the process and I didn’t have to enter any secret security information. The process for adding my loyalty card was even simpler. All it needed was the card’s bar code, a task perfect for the camera. 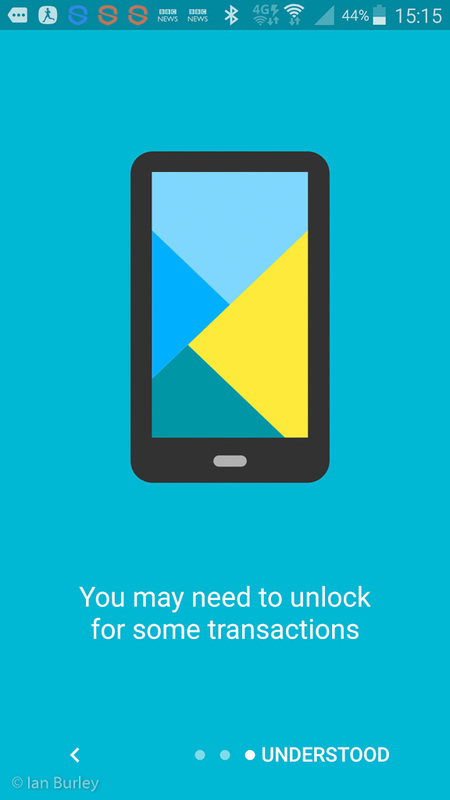 To use Android Pay you need to have the app running in the background and you must have a screen lock option enabled. I use fingerprint recognition security on the Note 4 and this is an acceptable option alongside passwords, swipe patterns, etc. Then it’s simply a matter of presenting your phone to the payment terminal close enough for the NFC to work, so within around a centimetre. I did sense that the process took a little longer than with a contactless card. I will keep an eye on that and let you know if that continues to be the case.You are supposed to be able to use Android Pay without waking your phone up. However, I haven’t yet managed to get this to work. So far, I have had to wake up and unlock the phone. This isn’t ideal but I suspect it’s related to the smart Sony S-View case on my Note 4. 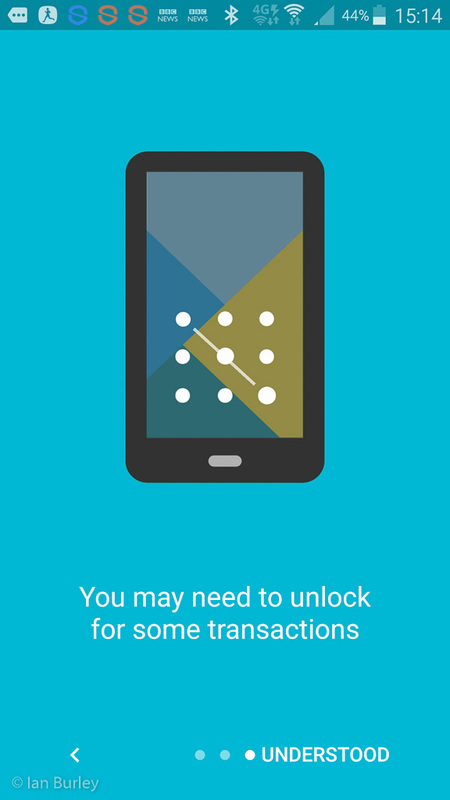 Reports indicate that when the case is closed then NFC is disabled because the screen is turned off. I am experimenting each time I shop and will update this article if I manage to optimise the payment procedure. But apart from that it worked fine. A bonus is that a record of your transactions are recorded, which is great for keeping tabs on what you have been spending and where. It also means that you shouldn’t find yourself in the situation where you have paid for something but you forgot your loyalty card, which has happened to me occasionally. However – you do need to remember your phone and its battery needs to be charged! So that’s another thing that I can do with my phone, along with paperless airline check-in, bar-code scanning and price-checking, drawing, voice recording, song identification, finding my around in the dark, virtual reality, watching TV, listening to the radio, PC remote control, sat-nav, activity and fitness tracking, email, calendar, social media, star-gazing, other types of augmented reality, photography, video, heart rate monitoring, etc., etc. A certain Mr.A.G.Bell would no doubt have been more than a little amazed. 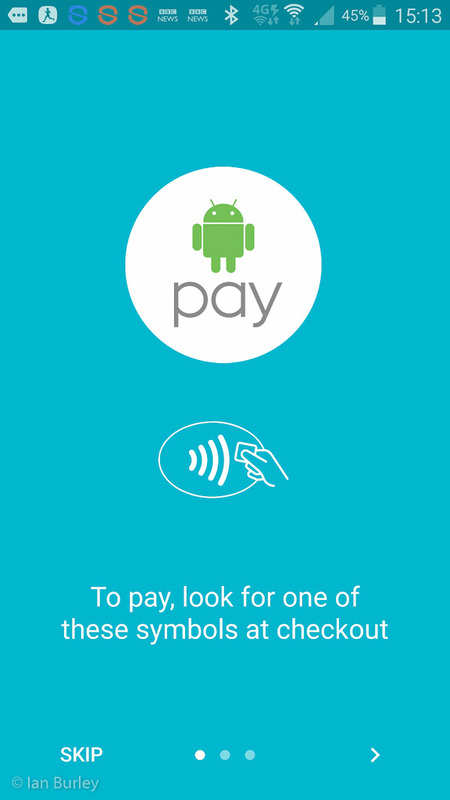 For more information check out the Android Pay section of the Android.com website. While I have a smartphone, I am feeling somewhat left behind by the continuous, and what feels like relentless, march, that “requires” updates which invariably make the older models less useful or effective. I’ve not looked into any of this yet, but what are the relative costs of phone payment vs card payment. 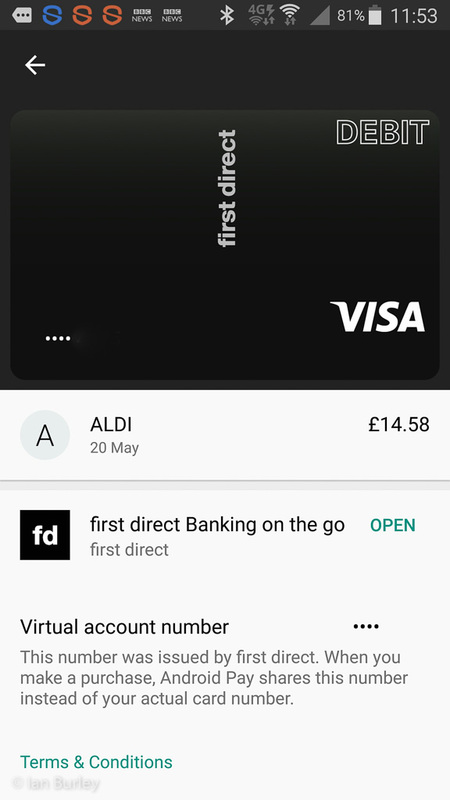 Just been on one of my infrequent visits to Sainsbury’s and my store is fairly large if not mega huge but they have still not embraced cobtactless payments of any type, let alone Android Pay.